Hard on the heels of its Demandware acquisition in June, Salesforce confirmed on Monday that it's acquiring cloud collaboration software maker Quip. The purchase price is $582 million, plus the value of Salesforce's previous investments in the company, according to a regulatory filing late last week. According to one estimate, the total value amounts to roughly $750 million. "We can confirm Salesforce has signed a definitive agreement to acquire Quip," the company said via email, but declined to provide further details. Founded in 2012, Quip makes cloud-based software designed to make team collaboration easier through capabilities such as chat-enabled documents and spreadsheets. "As part of Salesforce, we will be able to expand our service more quickly and reach millions of people all over the world," Bret Taylor, Quip's cofounder and CEO, said in a blog post. "And, we’ll be able to extend the Salesforce Customer Success Platform in powerful new ways with our next-generation productivity capabilities. The possibilities of mixing data, content and communication are amazing." As part of Salesforce, Quip will continue to serve its existing customers, he added. Taylor was a co-creator of Google Maps and also worked as CTO at Facebook, where he created the "Like" button. Cofounder Kevin Gibbs also hails from Google, where he created Google Suggest. He is now Quip's head of engineering. 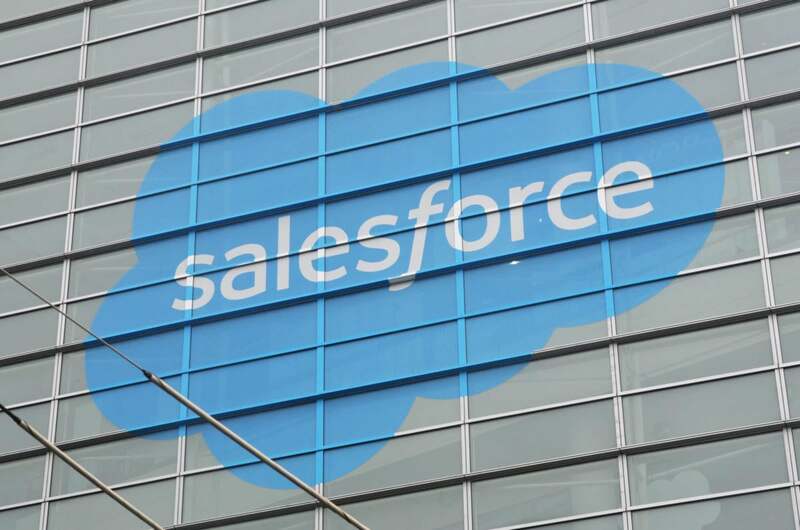 The move is "one more indication that Salesforce has 'yuge' plans" for its customer relationship management (CRM) software platform, said Denis Pombriant, managing principal at Beagle Research Group. "A platform has to be universal and all-encompassing, because its mission is to be a complete one-stop shop for customers," Pombriant said. Competitors Microsoft and Google both have similar products, so Salesforce "had to be able to check off that box." While Microsoft Word is "fine for shorter documents, it's tough to wrestle with when you want to do more," Pombriant said. "I am betting they think Word is long in the tooth and document creation needs to be reimagined." Salesforce also went head-to-head with Microsoft recently in bidding wars over LinkedIn. Microsoft ultimately won that contest, but now Salesforce is "dropping solidly into Office territory with a word processor," said Rob Enderle, principal analyst with Enderle Group. "This would imply a much stronger Office competitor in Salesforce’s future," he said.